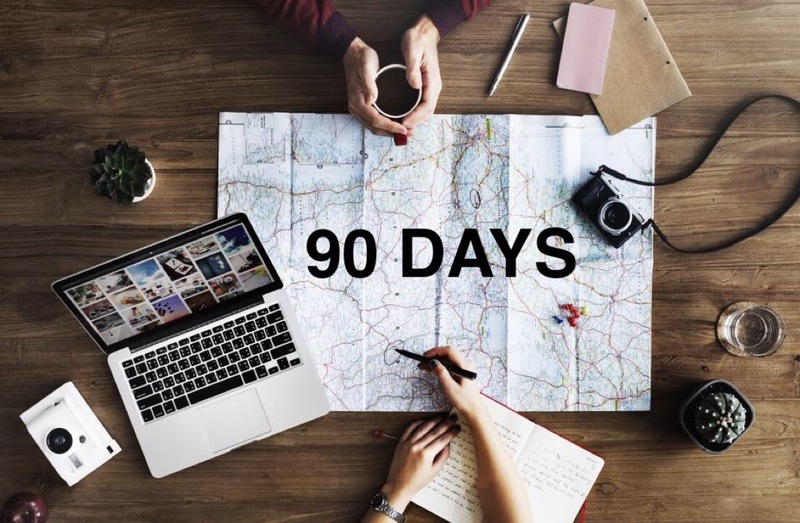 Have you ever heard the saying “It takes 30 days to make a habit, 90 Days to create a lifestyle”? I’ve been thinking about that a lot lately. I’m the kind of person who always has a million things that they want to do but hardly ever actually gets these things done. I want to change that. So, I wrote a list, a list of all the things that I would do daily, weekly, and monthly in an ideal world. Somethings were mundane like eat healthier and actually floss twice a day, others were to feed my more adventurous spirit like take a small trip once a month to someplace new and every few months plan a bigger trip, preferably out of state. The challenge is that for 90 days I’m going to try to live according to my list. Living my “ideal life” for 90 days to try and make it a new lifestyle. I suspect that along the way I’ll find that some of my ideal habits really aren’t that ideal and some of the things that aren’t on my list are actually more important. I’m documenting my progress in the challenge here and I encourage you guys to do this challenge with me if you want. Make you own lists of what’s important to you, what you would ideally do given the time and resources. My biggest problem is that I never thought I could afford to travel and I’m still not in a place to afford all the trips I want to take but someone once told me to take a trip anyway, the money will sort itself out along the way. I also learned that traveling isn’t just planning grand trips to another continent. Traveling and adventure can be as simple as driving an hour in a new direction and discovering a cool new town in your own state. ← 5 Ways To Kick A Rut! What do you think? Instead of posting my list of things, I wanted to explain the challenge more and make it something anyone could be a part of if they wanted.